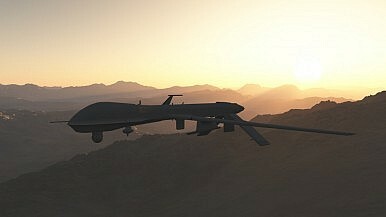 The Australian government should come clean on its role in the U.S. drone program, before buying its own. Both international humanitarian law and international human rights law protect civilians from unlawful killing and require proper independent investigations into allegations of wrongdoing. Armed drones are not only responsible for large numbers of civilian casualties, but the extreme secrecy surrounding their use has created an accountability vacuum in which deadly force can be used with near impunity. With little or no opportunity for proper oversight of who was killed and under what circumstances, the shroud of secrecy over current drone-strike practice makes it near impossible to independently assess the lawfulness of the strikes. There are credible reports that Australia is already intimately involved in these covert U.S. drone strikes through the joint military facility at Pine Gap near Alice Springs. Information drawn from that facility is allegedly used to locate the targets of the strikes. So Australian personnel at Pine Gap may not pull the trigger, but they show U.S. drone pilots where to point their guns. Enabling these assassinations could have serious legal implications for any Australian officials complicit in the abuses that may have been committed by the Americans. The fact that the Australian government is unwilling to officially admit that Australia plays any role in the U.S. drone program provides scant hope that Australia’s drones ambitions will be tempered with greater transparency and safeguards. In fact, Defence is currently deepening its involvement with the Reaper drones while the very question of Australia’s procurement of them is the subject of a parliamentary inquiry. The Senate Committee on Foreign Affairs Defence and Trade is currently looking into the Australian Defence Force’s “potential” use of drones, including the challenges, opportunities and risks of their deployment, and the domestic legal, ethical and policy considerations. The Committee is not due to report until June 25, but the Royal Australian Air Force already has six personnel training in the United States on how to use Reaper drones. Although it’s understandable that Australia would want to capitalize on some of the opportunities that drone technologies present, such as surveillance, the use of weaponized drones opens up a Pandora’s Box of legal and ethical considerations. If Australia decides to acquire drones, then it will be absolutely vital to introduce transparent and rigorous safeguards to ensure international law is upheld at all times. As a start, the Australian government should come clean about its current role in America’s drone program and allow for a genuine debate over their use. The government should put its cards on the table: Exactly what kind of assistance is Australia providing to the deadly drone program? The Australian public has a right to know the facts before the government takes them further down this troublesome path. And Australians deserve to know what kind of checks and balances will be in place to ensure that Australian drones are not responsible for the unlawful killing of civilians. Drones can do more than just kill people.